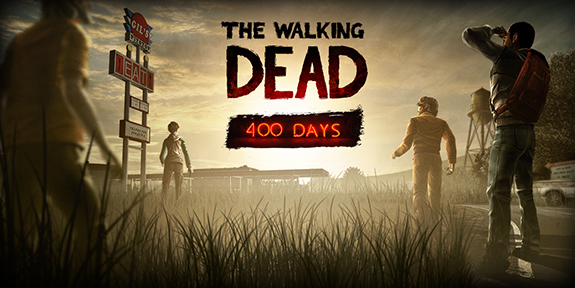 The walking dead : 400 Days game seems as if it’s been released as a quick and easy DLC for the first game to bridge the gap between season 1 and season 2 which is currently in development by telltale games. Telltale games are also known for releasing the Back to the Future game and also reviving the Sam & Max series. The first season of the walking dead games was a huge success selling over 8.5 million episodes. There are 5 main characters (Vince, Wyatt, Russell, Bonnie and Shel) each having a short story of their own lasting about 20-30 minutes in gameplay. The characters can be played in any order but they do have a chronological story line. For example Vincent’s story takes place in the second day of the outbreak. Although none of the stories really cross so the order isn’t a huge problem. 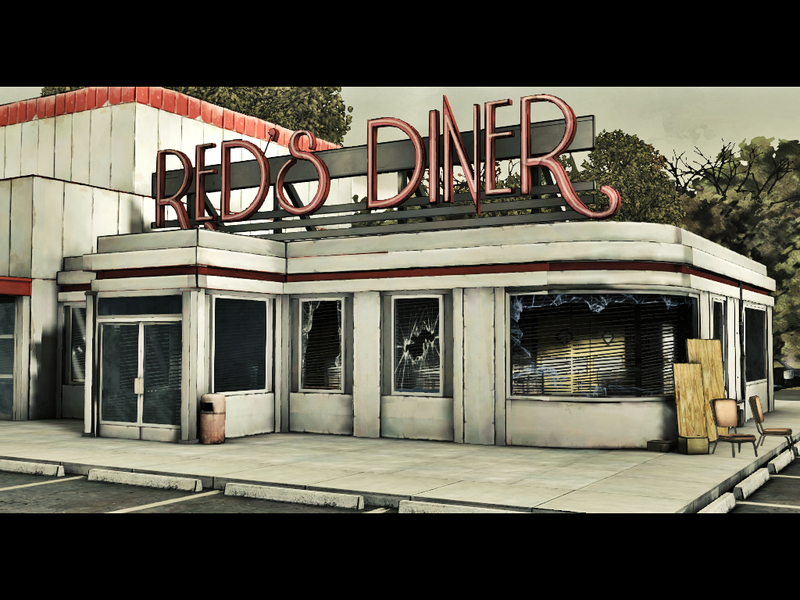 The only thing the characters really share is the location as most of the game is situated around the diner and the road it sits on. Though some of the characters, objects, and zombies re-appear in multiple stories they don’t have an impact on each character’s story lines. The focus in 400 Days seems to be the agonising choices you are forced to make throughout each story. The exploration and occasional puzzle elements from the first game have been stripped from this. Gameplay now boils down to talking or fighting with people and then making a choice. However the sum of these three elements generate a catastrophic atmosphere as the choices you make haunt you for a considerable amount of time afterwards if you feel you chose poorly as the outcome is never clear. The game forces you to make life or death decisions for these characters after only just introducing you to them making the decisions even more nerve racking. These choices make you rapidly invest, emotionally, into these new characters. The audio quality is amazing with the natural dialogue and great voice acting make the audio quality great across the board. The conversations between the protagonists and their companions reveal enough about the characters for you to feel sympathy for them or at least understand enough about them to rationalize why they are in the positions they’re in and why they think as they do. The background stories don’t weigh the game down with spending too much time on them. The intense showdowns and arguments mixed with the with the moments of levity give the characters a compelling eagerness to see more of them. Whilst the game takes place in the same area the setting holds an amazing amount of diversity, a deadly game of hide and seek in a cornfield during a rainstorm, a car chase on a dark misty road and the inner of a prison bus, the adversity this game shows for such a small location is surprising and very gripping. The bold comic strip theme and interesting locations make up for the occasional awkward animations and grimy textures. The short amount of time each character gets and the gripping story arcs that end just as the story gets really exciting will definitely leave you desperately begging for the season 2 release. The epilogue at the end ties some loose ends together but generally leaves a lot open to debate as to what’s to come for season 2. This game is good for 2-3 hours gameplay and should be played with serious nature or by someone willing to invest themselves into a thrilling story heavy game. A highly compelling game with it’s only real feature it’s story lines and dialogues but it’s more than enough, a definite buy.